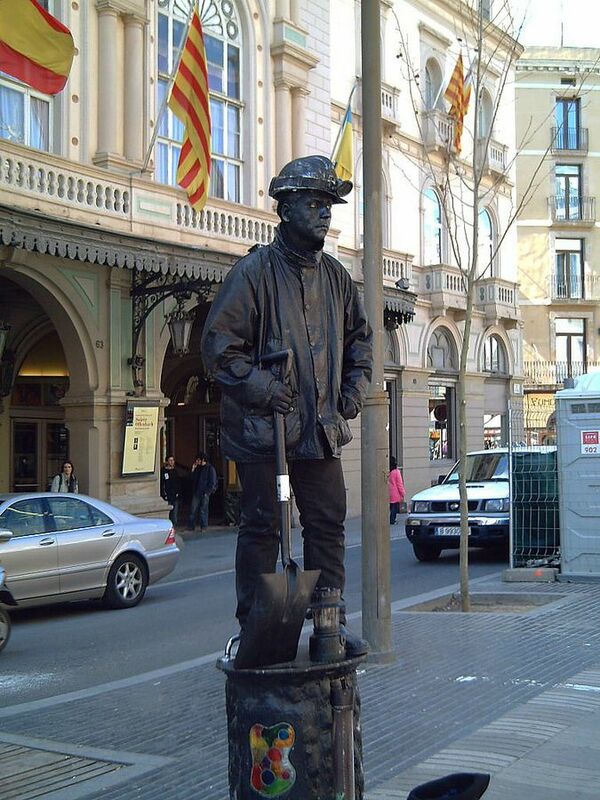 If one of the living statues in Las Ramblas of Barcelona seems truly realistic this must be the Miner. Notice how the smudge and the soot contribute to give the character the solid appearance of a carved marble stone. Right behind him you can partially see the opera house Liceu. There must be quite some foot traffic if those artist gather around this area. I admire them that they can stand and hold still for such a long time. I guess, I would get itsy after 10 minutes already. There is a pretty wide promenade along Las Ramblas and still it is always full of people going up and down. Itchy and with watery red eyes not counting the weather as a plus. Thanks Nicola.